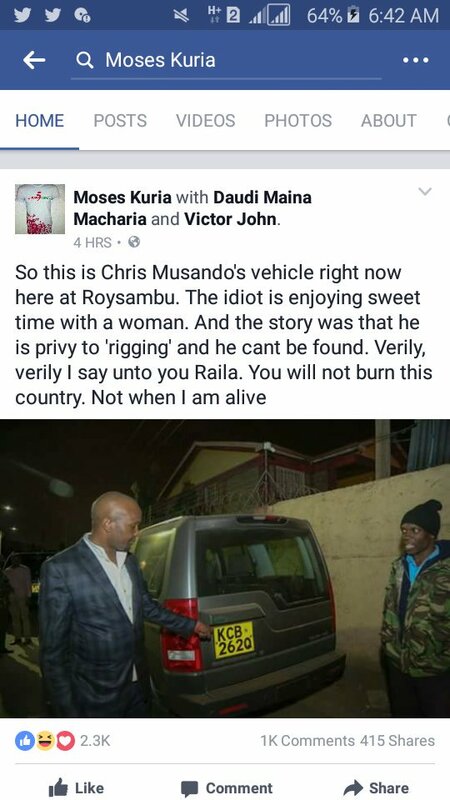 In his usual senseless fashion, Moses Kuria delivered a bombshell to his more than 200000 followers on Facebook on Chris Musando's whereabouts. The Gatundu South MP has been left with egg on his face after his post turned out to be obscenely untrue. He claimed that the lost IEBC ICT Manager, who has since been confirmed dead, was enjoying a woman in Roysambu and was not lost as claimed by Independent Electoral and Boundaries Commission and the mainstream media. He went ahead to warn Raila that he would not cause violence in the country. 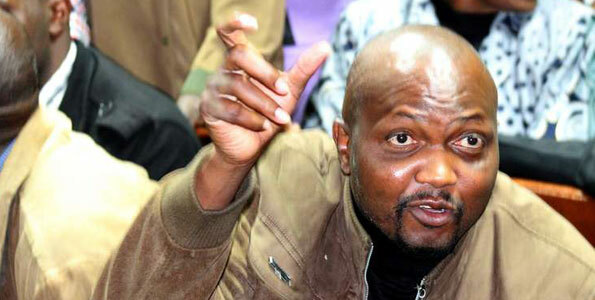 Not when Moses Kuria is alive. 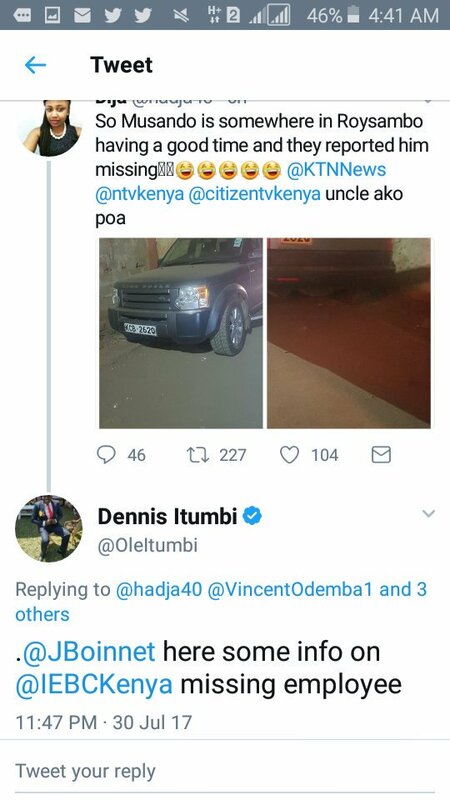 Several government blogger led by Denis Itumbi decided to spin the story with Denis Itumbi tagging IEBC in a post that used the pictures shared by Moses Kuria. So this is Chris Musando's vehicle right now here at Roysambu. The idiot is enjoying sweet time with a woman. And the story was that he was privy to 'rigging' and he can't be found. Verily, verily I say unto you Raila. You will not burn this country. Not when I am alive. Warning: Play Hard To Get, At Your Own Risk!